Virtual reality continues to remain a wildly successful technology just around the corner. For the moment, though, ownership of VR headsets remains relatively small. Eight percent of U.S. households with Internet access own a VR headset, based on a new study on virtual reality. 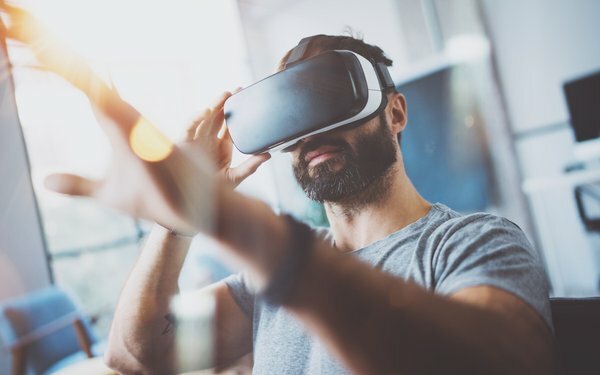 However, there’s hope for VR if more and better content is created, according to the semi-annual survey of 1,900 Internet users weighted based on census data conducted by Thrive Analytics and Artillry. Almost half (41%) of consumers who don’t have a VR headset have an interest in owning one, with the highest percentages of those under 35 years old, as might be expected. Price also is an issue, especially for millennials. One of the most significant issues holding VR back is that most people have never experienced it. The activity found to be most appealing for VR activities is watching movies. The travel industry may be happy to hear that second on the list is exploring parts of the world. A savvy travel agency could have a VR system in its offices for would-be travelers to experience a location virtually before booking an actual trip. Another recent study by Worldpay found that 84% of consumers globally would be interested in using VR or augmented reality for travel experiences, as I wrote about here at the time (84% Interested In VR, AR For Travel Experiences). About 24 million households worldwide will own at least one virtual reality device by the end of this year and 77 million households by 2021, according to Parks Associates. Within the next year, 9% of U.S. broadband households plan to buy a virtual reality headset, according to Parks. In June of this year, only 5% of Internet users in North America overall had a VR headset, according to GlobalWebIndex, based on interviews with more than 350,000 Internet users in 40 markets. Virtual reality may not yet be reaching the masses, but like most aspects of the Internet of Things, it is evolving and coming. The main question is whether the masses will be ready to adopt it.